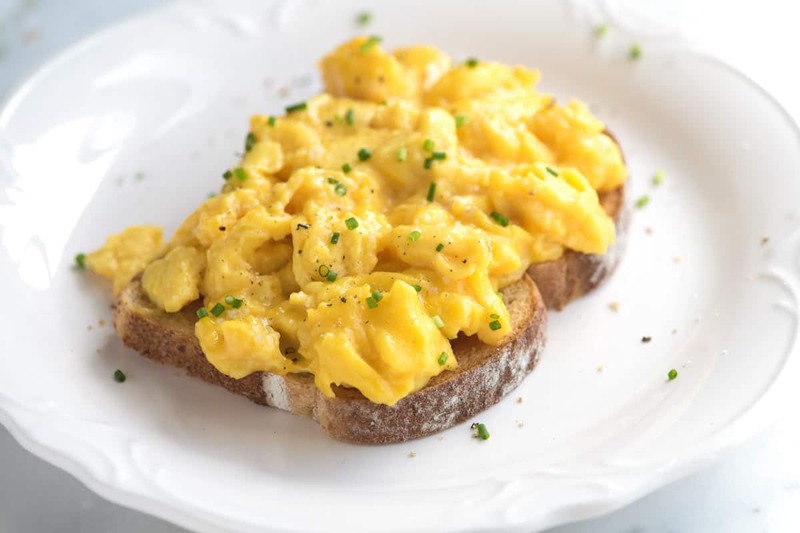 How to easily poach eggs plus tips for making them for a crowd. Jump to our Poached Eggs Recipe or read on to see our tips for making them. A while back, I spent an entire day in the kitchen attempting (and failing) to poach an egg. Everyone said it was easy, but all I was left with was a messy pot of water with egg whites everywhere. Fortunately, I got it in the end and haven’t had a problem since. Break the eggs into individual clean bowls. Never break the egg directly into the water. 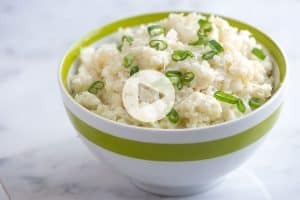 This way you can control how fast they slip out of the bowl — preferably slow and controlled. Don’t bring the water to a simmer and definitely not to a boil. You want to see bubbles forming at the bottom of the pan, but not actually breaking on the surface. Use a timer. We set our timer for 4 minutes, then check to see if the egg whites are cooked. More often than not, 4 minutes is perfect for a poached egg with egg whites that are set and a runny yolk. 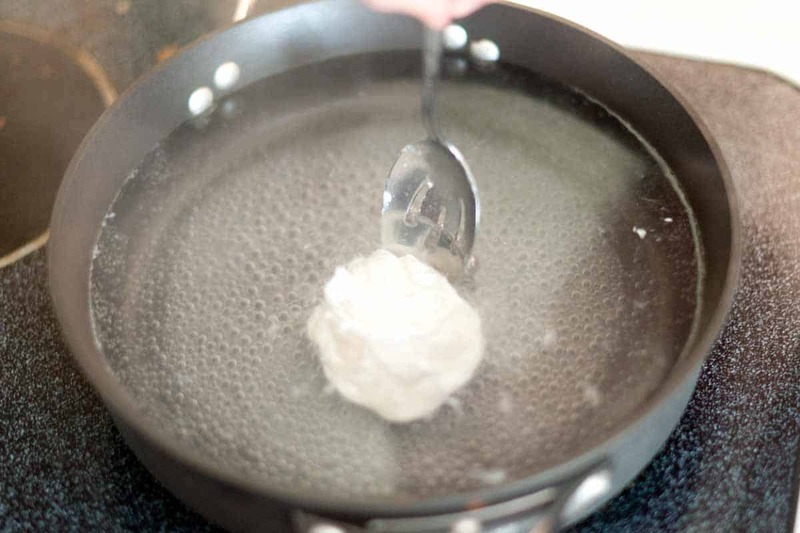 Just use a slotted spoon to bring the egg out of the water, you will clearly see if the egg whites are set and opaque. 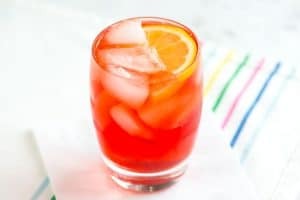 Bring a shallow pot of water up in temperature until it is barely simmering. Then, add 2 teaspoons of unflavored vinegar to the water. This will help keep egg whites tight around the yolk. Think of the vinegar as a fail-safe — it makes the egg white tighten up. If you are wondering how to poach eggs without vinegar, don’t worry. You can leave it out. Our method should work for you anyway. Break each egg into a clean cup, and then slowly slide the egg into the poaching water. Set a timer for 4 minutes. Just after adding the egg, use a spoon and push the whites up over the yolk, making it a tight little bundle, then leave the egg alone. When the timer goes off, use a slotted spoon to remove the egg and check if the egg whites are set and opaque. If not, place the egg back into the water for another 20 seconds. 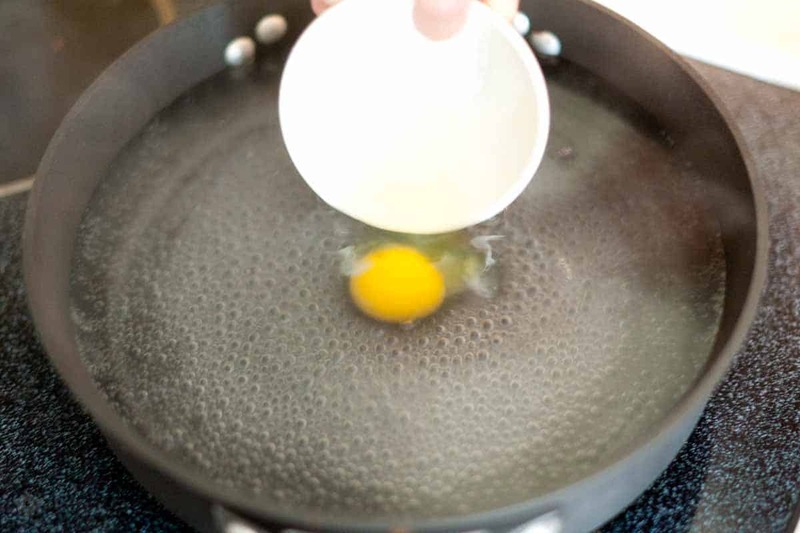 When the egg is done, use a slotted spoon to pull it out of the water. Gently pat the spoon onto a paper towel or clean dish towel. Then serve on toast, pasta, or whatever you like. If you are making poached eggs for a crowd you can make them in advance. Poach all the eggs as normal, but under-cook them slightly. I’d remove 45 seconds to a minute off the cooking time. Just make sure the whites are nearly set. Remove the eggs and put them into a container filled with cold water. Refrigerate. When you are ready to serve, add the eggs to simmering water to re-heat and finish poaching (about 1 minute). YOU MAY ALSO LIKE: There really is only one way we cook bacon. We bake bacon in the oven. 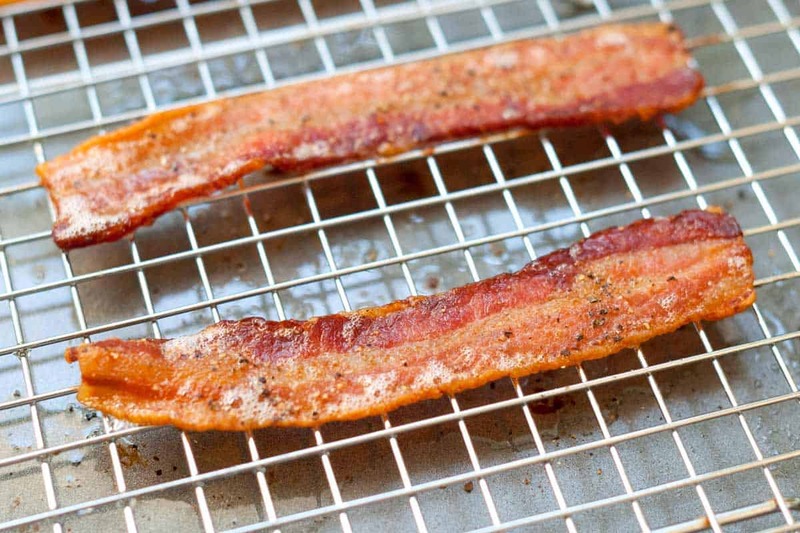 Jump to our recipe showing you How to Bake Bacon. This is an easy method for poached eggs. You can make as many as you need to. If you are poaching multiple eggs at a time, try not to crowd the water. It might be better to make more than one batch. 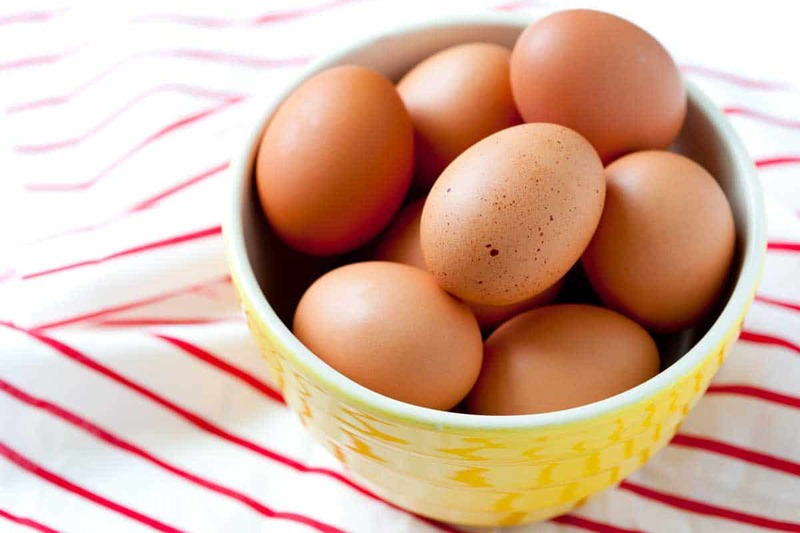 Fresh eggs work best for this since they hold their shape better than older eggs. 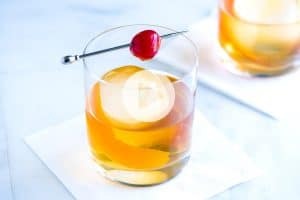 Think of the vinegar as a fail-safe. It helps to coagulate the whites and keeps their shape. If you do not want to add it, you can still make poached eggs without it. 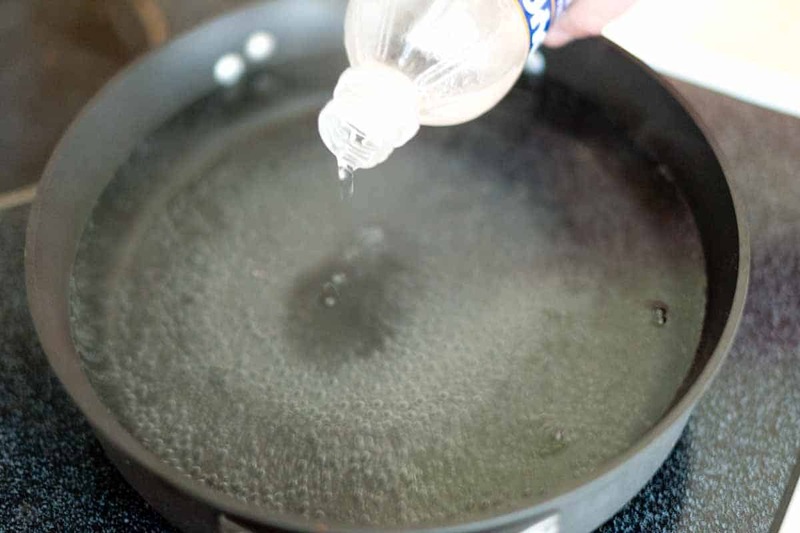 Bring a wide saucepan 3/4-full of water to a boil over high heat. Lower the heat to low and bring the water back down to a low simmer. You should see bubbles forming at the bottom of the pan, but not many actually breaking on the surface. Add the white vinegar to the water (optional). Crack the egg into a small bowl then carefully slide it into the water. Set a timer for 4 minutes. Then use a spoon to carefully push the egg white up over the yolk, making a more compact shape. After 4 minutes, remove the egg with a slotted spoon. Place the spoon on a clean dish towel or paper towel and gently blot it dry. The 4 minute cook time makes a poached eggs with cooked whites, a gooey yolk and a liquid center. Add time if you prefer the eggs to be more cooked. Make Ahead: If you are making poached eggs for a crowd you can make them in advance. Poach all the eggs as normal, but under-cook them slightly. I’d remove 45 seconds to a minute off the cooking time. Just make sure the whites are nearly set. Remove the eggs and put them into a container filled with cold water. Refrigerate. When you are ready to serve, add the eggs to simmering water to re-heat and finish poaching (about 1 minute). Great photos! I’ve never scooched the whites over the yolk so mine always awkwardly spread out. Thanks for the tip! 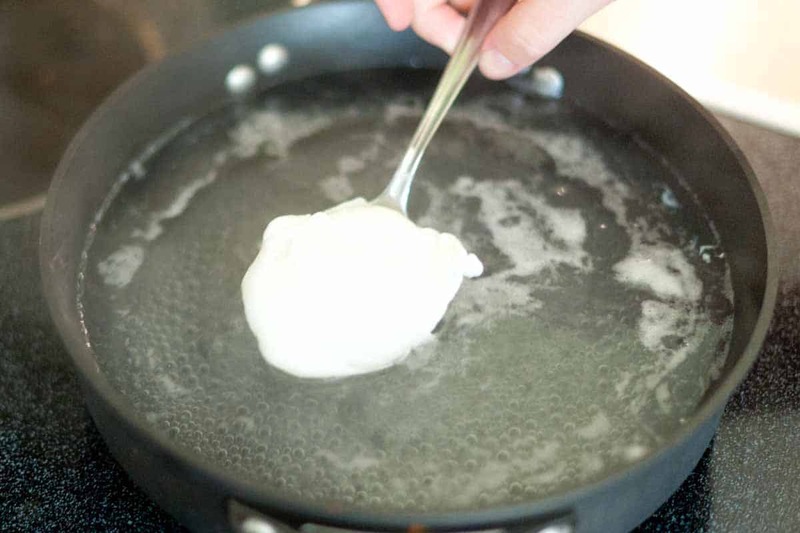 Thank you so much for showing how to poach an egg! Incredible with the tips given! Hopefully I can make it too. You’re so welcome! Hope it helped. Love this post! Great how to!